Store analytics, table management, inventory consumption and more. Here’s a roundup of the new features we have rolled out to SlickPOS this March. If you don’t see these features in your account, follow these instructions to get the updates. If you run our POS on mobile or tablet, then you can get the updates from Play or App Store. If you are new to SlickPOS, signup now and get SlickPOS for free. 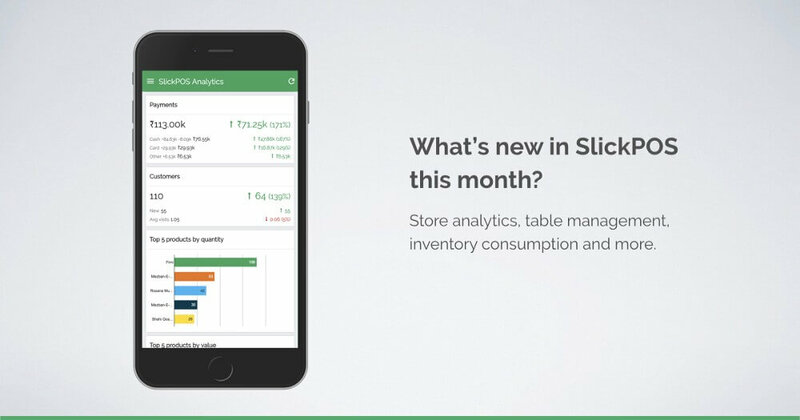 SlickPOS Analytics is a new app for store owners to keep them updated on key business metrics. Analytics can be either viewed on the browser or conveniently added to your phone as a mobile app. Now you can track your sales, payments, product performance and customer metrics in real-time from anywhere. To get Analytics check out the Apps section inside SlickPOS. 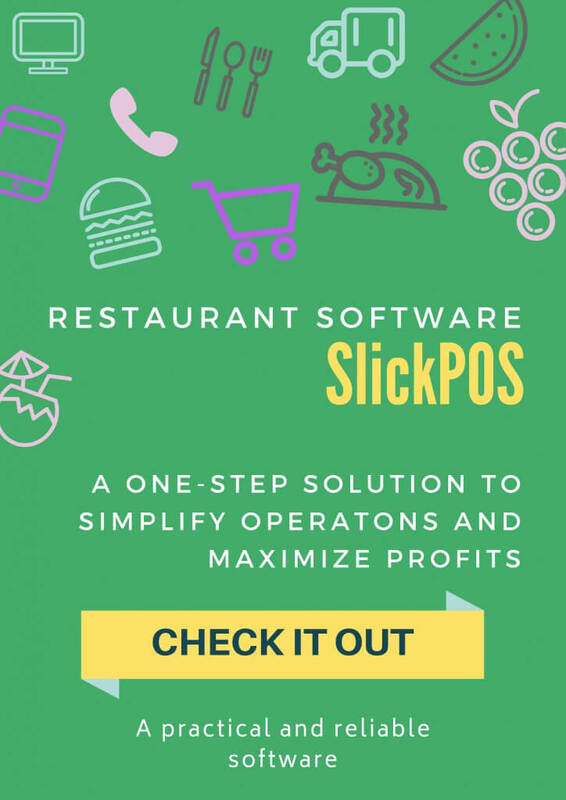 If you run a dine-in restaurant and would like to manage table orders, take-ways and deliveries, you can do so by setting up tables from the SlickPOS register setup. Tables are a register level setup, in case you need to run a different register in QSR mode or take-away mode you can do so. Some businesses accept multiple payment modes and it’s not a great experience to ask the customer the payment mode and then print the receipt. We have added a Printing Preference that enables SlickPOS to print the receipt first, hand it over to the customer and then close the payment depending upon the mode of payment. While SlickPOS is great for capturing a lot more data about the customer and the sale, there are businesses who prefer quick billing. We have now released a Selling Preference for quick billing, with this enabled, receipts can be made much faster and with fewer clicks. A consumption report has been added to the inventory app. You can run the consumption report for a time period and get a detailed report of quantities added and consumed for every product and ingredient. You can use the consumption report to plan purchase quantities and set re-order levels. The report also shows the adjustments made on stock count which is a good indicator to track pilferage. The order ticket feature is now also available on the SlickPOS tablet and mobile app. Businesses like restaurants, quick serve restaurants, and cafes usually require printing a kitchen order ticket as they take an order. You can enable this option under Selling Preferences and start generating order tickets from our iOS and Android apps. We hope that you liked our updates, do send us a message if you have any suggestions or if you would like to see a demo. See you again in April with the next round of updates!